If you are interested in knowing more about the history of Vietnam, Cu Chi is a not-to-be-missed place for you! A professional tour guide will explore the history of the Vietnam War with you. 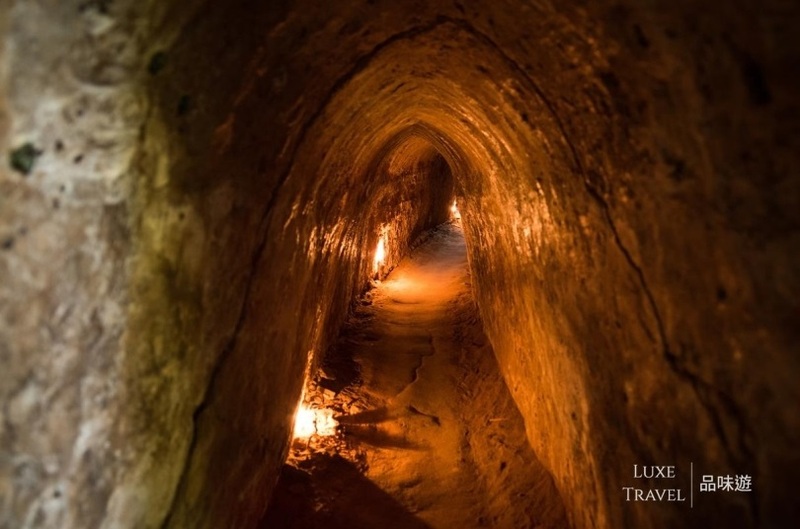 Luxe Travel Insiders will visit the Cu Chi Tunnels, which is built by manpower only and it shows the perseverance of human. In addition, Luxe Travel Insiders will visit Cao Dai Great Temple, to know more about one of the three religions in Vietnam. You will also be impressed by the magnificent architecture! Cu Chi Tunnels and Cao Dai Great Temple might be a bit distant than other popular tourist destinations from city centre, but the experience you have there will totally worth the traveling time. 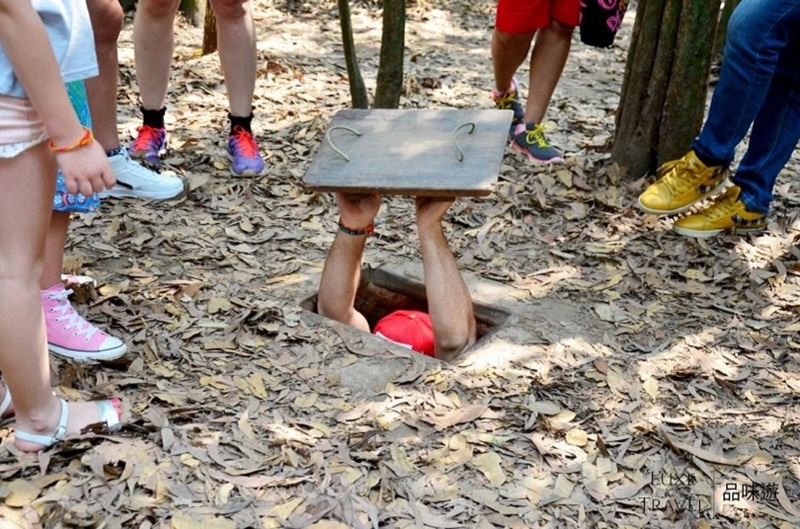 The three-story underground Cu Chi tunnel is hidden in the jungle which was excavated by guerrilla with shovels. A more striking fact is that people have lived in the tunnel for 10 years. As time passed by, Luxe Travel Insiders can still feel the tense atmosphere and picture the lives during wartime. Continue your journey to Cao Dai Great Temple in Tay Ninh. 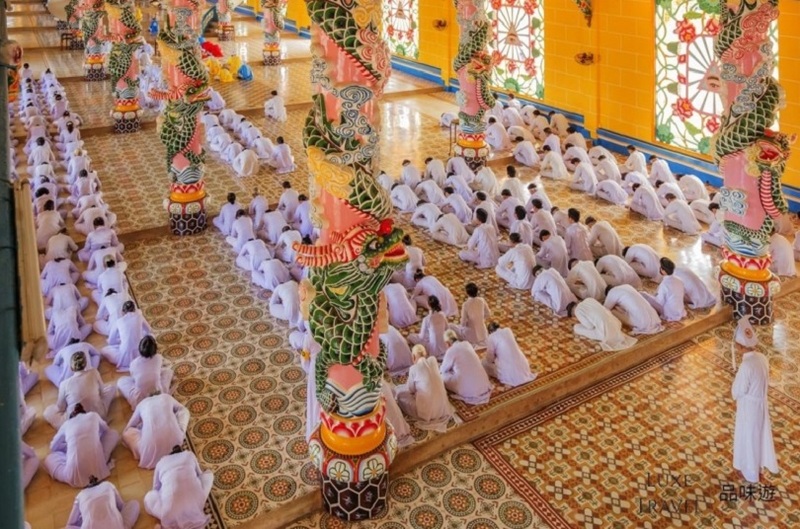 Founded in the early 20th century and indigenous to Vietnam, Cao Dai is a fusion religion that took elements from Taoism, Buddhism and Confucianism, with some aspects of Christianity and Islam. The elaborate architecture of the temple reflects this unique combination of religions. Visitors are welcome inside the temple to observe the colourful midday service. Luxe Travel Insiders will enjoy a Vietnamese lunch at a local restaurant before returning to Saigon in the late afternoon.